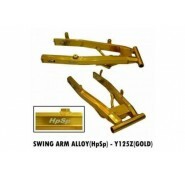 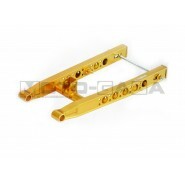 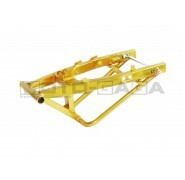 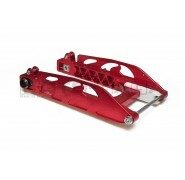 This Thai manufactured Lightened alloy swing arm is a direct replacement over the stock heavy steel one. 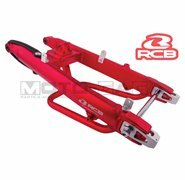 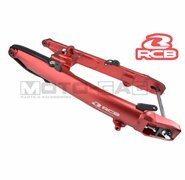 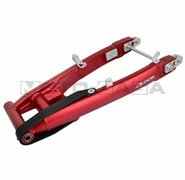 Lighter than the factory standard unit, this swingarm is machine cut and welded together then finished in various bright anodized colors to reduce unsprung weight on your bike. 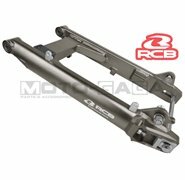 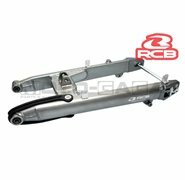 Swing arm bearings are not included.